Each night at precisely 4:33 am, while sixteen-year-old London Lane is asleep, her memory of that day is erased. In the morning, all she can “remember” are events from her future. 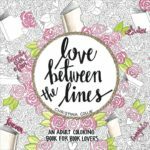 London is used to relying on reminder notes and a trusted friend to get through the day, but things get complicated when a new boy at school enters the picture. Luke Henry is not someone you’d easily forget, yet try as she might, London can’t find him in her memories of things to come. When London starts experiencing disturbing flashbacks, or flash-forwards, as the case may be, she realizes it’s time to learn about the past she keeps forgetting-before it destroys her future. On a rainy November morning, new baby sleep deprived, Cat Patrick forgot what she was doing. She retraced her steps but instead of remembering, the idea for Forgotten was born. Cat lives near Seattle with her husband and twin daughters who now, thankfully, sleep through the night. 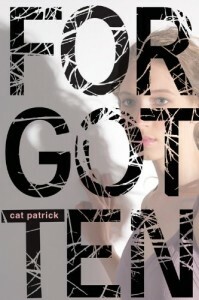 Forgotten is her debut novel. “I remember forwards and forget backwards.” London Lane has a traumatic experience in her past that causes her mind to reset at 4:33 every morning. She doesn’t remember anything that happened to her in the past and gets glimpses into her future that are disturbing movies in her mind. Resorting to notes, her cell phone with reminders programmed and her best friend, Jamie, she tries to live a normal teen life. Doomed to know the future of herself and those around her which makes her feel helpless for her inability to change the outcome of a situation, she lives as an outsider, afraid to let anyone get close to her and discover her secret. 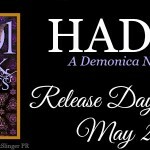 When Luke Henry starts at her school, she is immediately attracted to him and is worried that she can’t see him in her future the same she foresees others. She assumes he must not be the guy for her and pushes him away even though she has immense feelings for him. Finding strength she didn’t know existed and with the help of Luke, she starts to uncover her lost memories and discovers the real truth of her memory issues. There are some really unexpected twists in the plot that really caught me off guard. I was expecting a typical teen romance, but this turned into a bit of a psychological thriller and mystery which was above and beyond normal teen books. This is probably one of the best books I have read this year in the teen category. It is unique and the writing is excellent. There is a perfect balance between romance and mystery that draws you in and hits you when you least expect it. Yes, the romance between Luke and London is sweet, but the mystery of London’s mind is what truly keeps you hooked. I am not going to give away the details of what London uncovers, but it does have an unexpected happy ending. This is one creatively crafted story. I can’t even compare it to anything I’ve read this year since it is so different than anything I have read so far. Glad to hear it outpaces a movie with a similar premise. Looks great! Thanks for the info.